Welcome to STATUE M A R V E L S! All times are GMT -3. The time now is 09:19:00 AM. 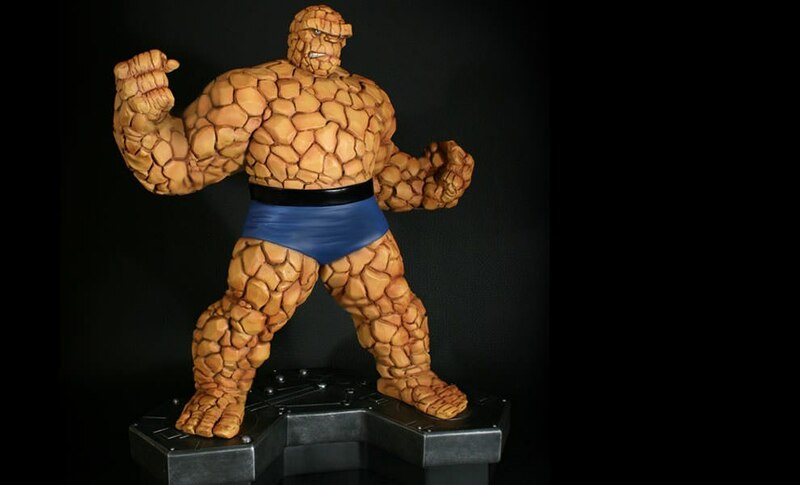 Interested in finding either full size Thing statue at a decent price. They are both great pieces, but I feel like the Museum pose has the scale/presence of old Blue Eyes. The action pose is classic, though. Good luck on your hunt! I think my local comic store has one. Don't think it has a box. Going in their tomorrow and will ask. They have it at $275 Australian. Check out comic zone on Facebook and message them if you are interested. What does shipping usually look like from Australia to the US? Any idea? Also, which one do they have? Not too certain my postage is usually around 70-90US for statues coming across. Did a quick guess on 9kg international weight through Auspost, and that was 130au. If you are on facebook, https://www.facebook.com/comiczoneperth/ flick them a message, really good guys. I'll do that. I appreciate it.